But if you'd like to spread the word, or have read the book and enjoyed it, please vote for it in the Preditors & Editors poll! As I write this post, it is sitting in second position out of 45 entries (not all are shown in this image). 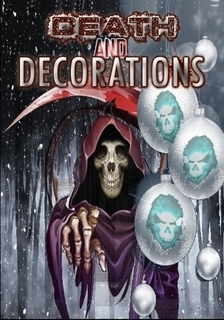 UPDATE: As of 01/13/2017, Death & Decorations is in 4th place (was up to 2nd as shown in image below) out of 59 entries. Keep voting! BTW, Lulu has it for sale now (paperback only, at the moment) - click LULU to check it out! Thank you, Tess! Hope to see some of your writing out there this year!